Welcome to another Build Analysis. 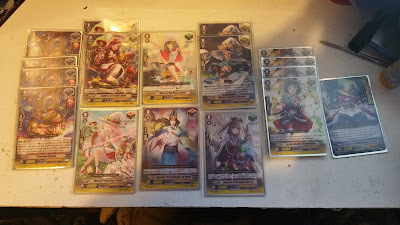 This is the fortnightly blog post that breaks down my deck and team/army builds. This time we are looking at what my Genesis deck looks like at the moment. 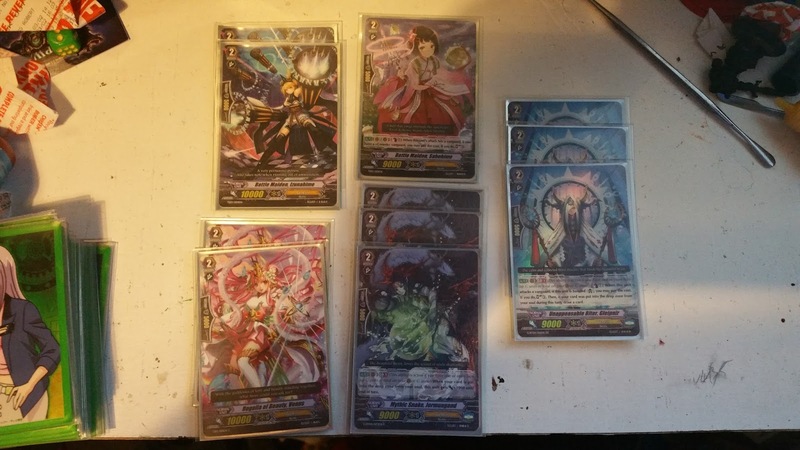 I am trying to build a deck around Fenrir and Vanargandr. 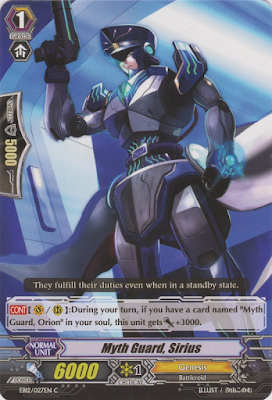 The general idea was to have a copy of both Myth Guards in the soul. Fill at least one column with each for a nasty attack value. Have Existence Angel boost the Vanguard to up the soul. And to have Dreaming Dragon return all my cards to the deck after Soul Blasting. 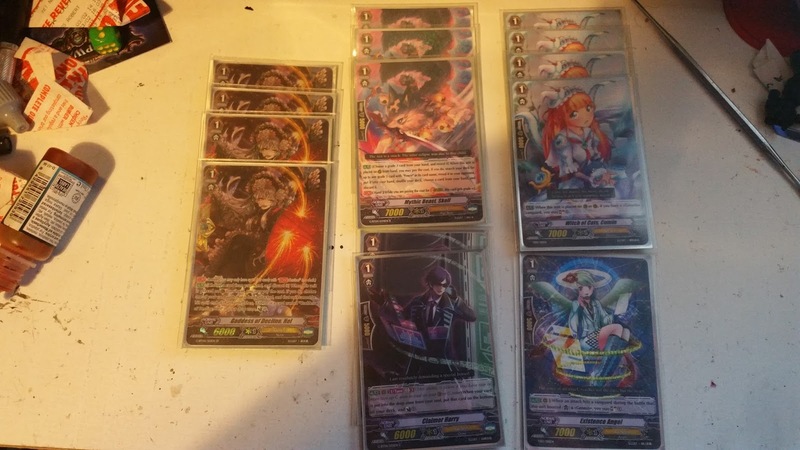 I know I need to get some more grade fours for this deck (which is a theme with most of the decks from here on) and after the first time I realised (while tidying my trade folder) I had an extra Genesis Stride I could add, "Witch Queen of Holy Water, Clove". As this is not a Witch deck, her abilities are worthless. However she does make good G Assist fodder. I know I have to deal with the grade three more. Four copies of Fenrir would be ideal (and I "just" now have four), however I need to think of something else to support he or act as a backup instead of the other grade threes I have. I have been finding the Myth Guard as a glass cannon. Their have poor starting Attack values, they I need to have their partner in the soul for the the attack boost and the bonus to Attack is only when they are Attacking. 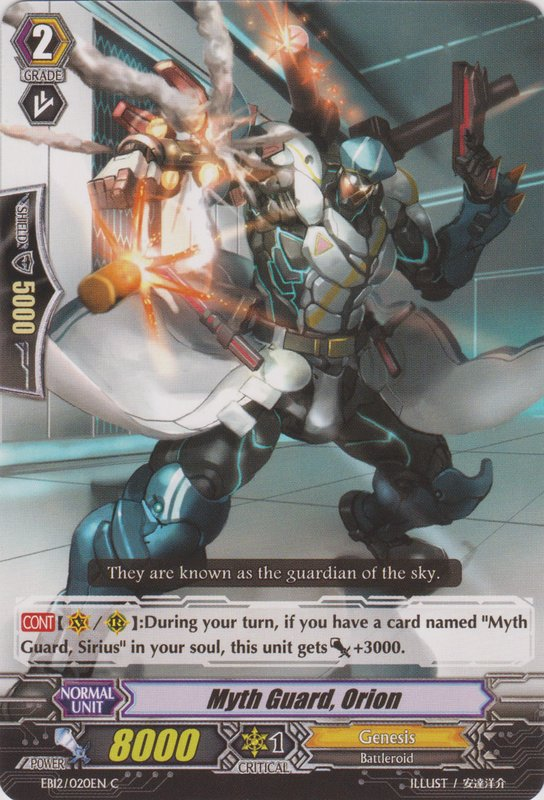 I have decided to drop Orion for some basic 10k attacks and Sirius with some soul based support. At the moment with Sirius, I have replaced him with two more copies of Cumin and two copies of Claimer Harry, however I am thinking on replacing the Claimer Harry with more Existence Angels when ever I can get more. The Cumins and Existence Angels are in the deck to help change the soul as in the past when I did not have them I struggled use my soul blast abilities. 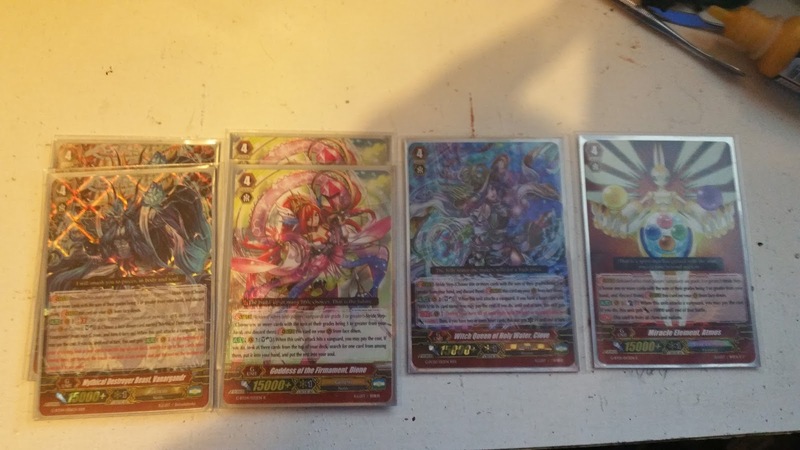 And I do plan on replacing the two Shiromas and the two draw triggers for four copies of the draw trigger Regalia of Foredoom, Lot Angel, as it helps fill up the soul and a now have one of them which has replaced one of the old draw triggers. 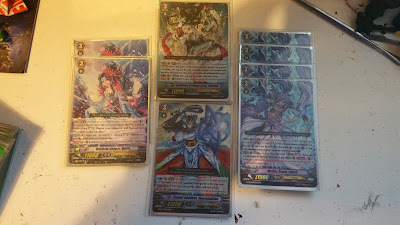 In the future I might decide to go with a Goddess or Witch deck, however I will stick with Fenrir for now and wait until the next set with Genesis in (not including Fighter’s Collection) comes out to see if there is anything interesting to change my mind. If you have any advice on changes to improve on this deck, please feel free to post comments on here, on Facebook or on Twitter. The next Build Analysis post should ever be a review post of my Dimensional Robo, Cosmic Hero and Nova Grappler decks or the Build Analysis of my Touken Ranbu deck from Cardfight Vanguard.